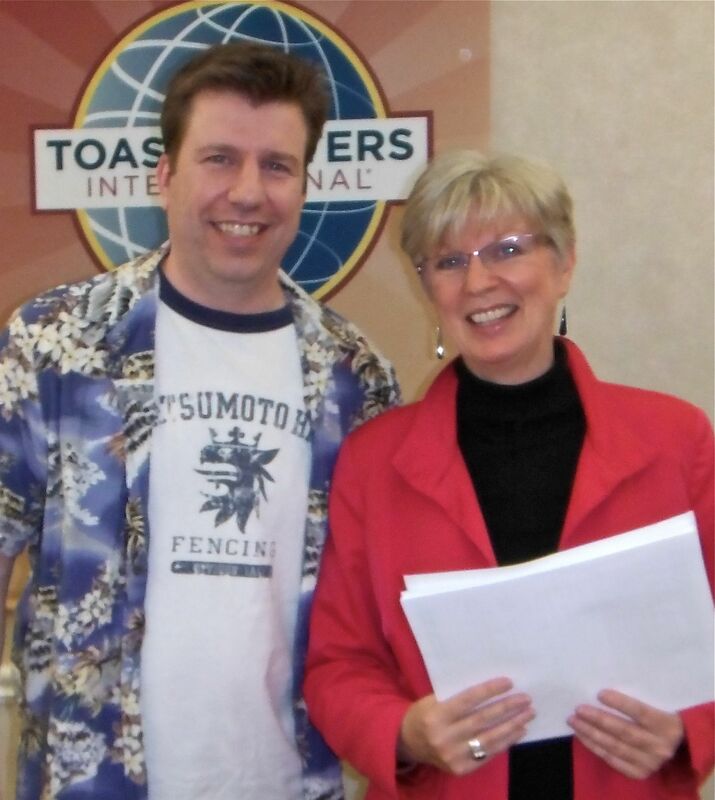 Thanks to the masterful chairing of seasoned Toastmaster Dale Fisher we had two meetings last night. The first was a regular dinner meeting and the second was our Tall Tales Contest. 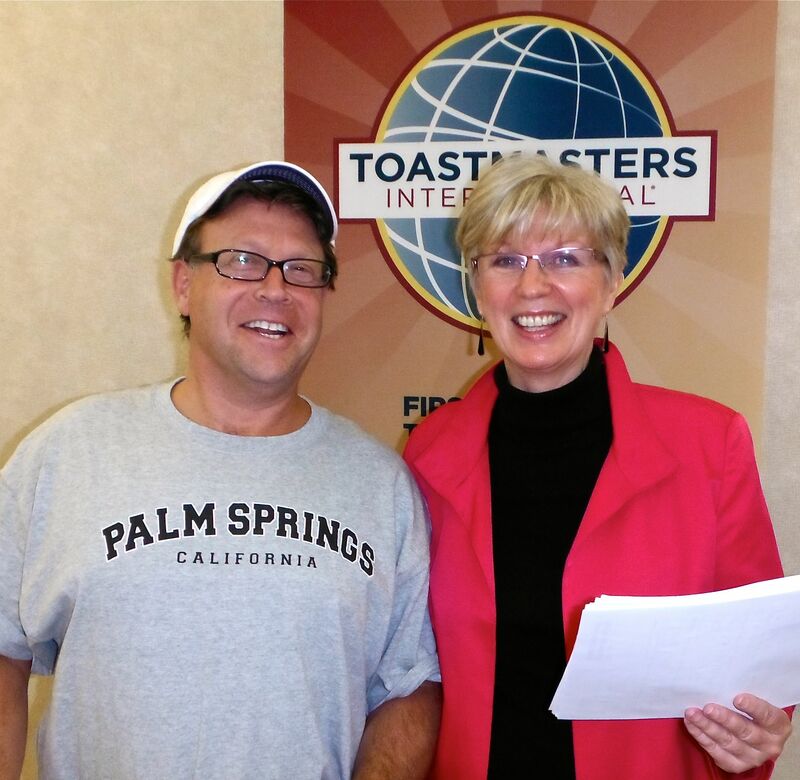 Tall Tales is a great opportunity for new and not-so-new Toastmasters to compete in a fun and challenging contest. It’s also a great opportunity to try your hand at chairing a contest or being chief judge or judging, timing or being a counter. Helping out in these smaller contests is a wonderful way to find out how these contests are organized and how to create a fun evening for everyone. Last night’s contest winner was Deborah Bartucci with her vampire-theme tale closely followed by Daniel Bruch and first-timer Cam McDougall who took third. Next week’s meeting is our annual auction with first-time auctioneer Tyler Bailey. Please bring your lightly used items a few minutes early to the meeting so potential bidders can assess their interest. 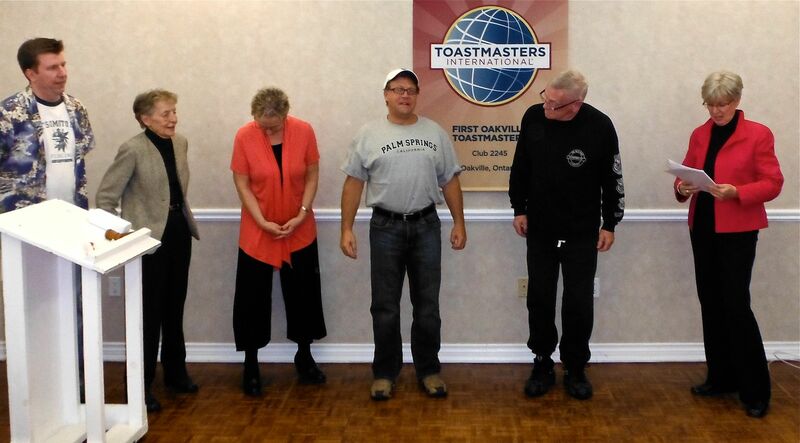 Amazing thing happened at last night’s meeting of First Oakville Toastmasters. 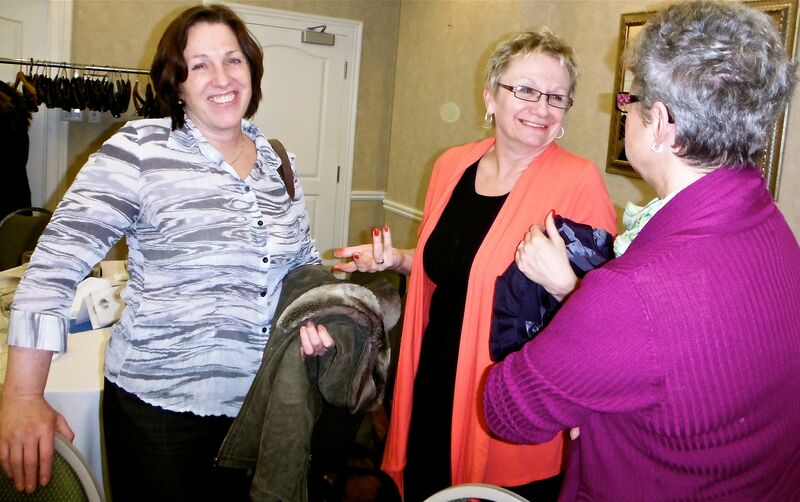 A Tall Tales contest night was planned but an election broke out and stole the show. Election nights at most other organizations I’ve been a member are poorly attended and even more poorly conducted. If you went down our membership roster, almost without exception, everyone who could attend the meeting (the room was packed) was there and we easily reach a quorum. Long-time Toastmaster John Smissen chaired the election meeting and did one of the best jobs in living memory. The elections did fill up the evening. This wasn’t the fault of the chair or the committee but can be laid at the feet of all the members who competed for positions on the 2012-2013 executive. For example, in most clubs you have to beg to get a treasurer. Not at First Oakville where we had I think it was five people who professionally handle millions of dollars of financial transactions in their work vying for the job. Our new executive, much like our last executive and the one before it and all the other ones, is not necessarily made up of the best qualified and most proficient Toastmasters. No, in its collective tribal wisdom, this club tends to elect Toastmasters who the club believes will benefit most from their executive experience. I know this for a fact. When I ran for president (the second time after having been beaten soundly by another member who clearly wanted the job more than I did that year), I wasn’t the best qualified candidate. I didn’t know the job inside out. I bet a lot of people thought I’d struggle in the position and they were right. I did struggle. It was one of the hardest things I’ve ever done. I was asked to lead people who were already leaders. I was asked to lead by consensus and not by force of personality. It was, for me. both a humbling and deeply satisfying year when I was the president of this club. I can only hope I managed to serve in the club’s best interest that year and I will be forever grateful for the experience. So how do you get to be on the executive? First, you attend every meeting you can possibly get to. There is no staying home. When you don’t show up, people notice. This is not a good thing. Two, you find other ways to serve the club (We have committees!) and in doing so you show your awareness of putting the club and the members first before your own needs. Three, you watch closely what the current executive is doing. You ask questions of your mentor and others. You get noticed in a good way. And when it comes to election night, you talk about how honoured you would be to elected into a place of responsibility and trust. You mention that you’ll do your best and then you offer two or three points about how you’ll do the job for which you are running. You show a little humility and a lot of enthusiasm. And, if the club has seen you at every meeting; and, if the club knows of your dedication; and, if the club thinks the opportunity will help you grow into being a better speaker, a better Toastmaster, even a better human being then; and only then, if you’re very very fortunate will you find yourself in a place of service next year. Congratulations to our new executive and congratulations to all who put their names forward. Your willingness to serve won’t be forgotten. Thanks to Toastmaster Timea here’s a link to a frightening link about what we are losing thanks to email and cellphone technology. I am not going to mass email the club. If, after watching this TED Talk by Sherry Turkle, you feel as strongly as I do, then please email this link to your fellow Toastmasters and ask them to do the same. Maybe we could have a conversation in real time about the dangers of hiding behind our emails. Thanks Timea. This is indeed a frightening and enlightening video. It’s really all about caring for each other. We are blogging live from First Oakville Toastmasters Mentoring Workshop taking place at our vice-president of eduction’s Oakville’s home. In addition to VP Linda, we have eight other senior members who will be talking about mentoring in our very successful club. Mentoring newcomers in a club with a membership list approaching 60 members has lots of challenges and brings with it tons of excitement and enthusiasm. The discussion begins with a sharing of how each mentor works with his or her mentee. Each of us it seems makes a connection with their mentee in our own ways. Some of us reach out more than others but each of us, it seems offers our time and then allow the mentee to acccess us as needed. Are you unsure whether you’re ready to put your name forward to run for an execute position in our club for next year? Why not let your fellow club members make that decision for you! If you’re willing to put your name forward then you’re fellow club members may be willing to support you if they feel you have the potential to grow into the role. You can put your name forward at the election meeting itself. This was the suggestion offered to a new member who wanted to serve but wasn’t sure they could do the job. We need 50 per cent plus one member to attend next week’s election. I believe the nominating committee and the chair for the evening have all the mechanics in place. All they need is everyone of us to attend and support the club by voting. 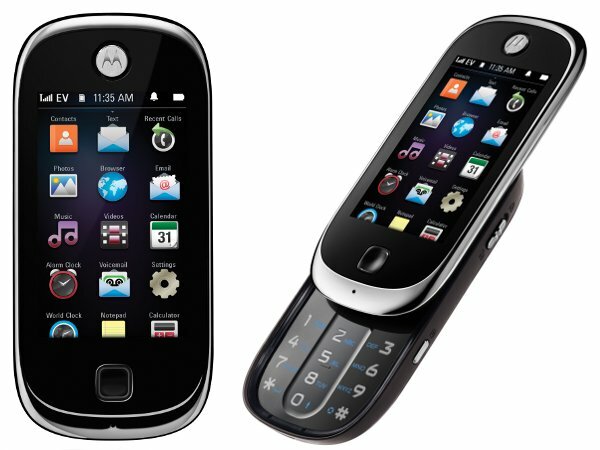 Finally, the decision not to ban cellphones which came up last night got me thinking about what did we every do before cellphones and I’ve made a post on my own blog.